Administer on-screen, in-office assessments; invite clients to complete remote assessments through e-mail; or enter responses from paper-and-pencil administrations. Any way you choose, you’ll always have an opportunity to review item responses before generating a report. PARiConnect gives you the information you need to know first, helping you prioritize your work and organize your tasks. Assessments, reports, and notes are categorized by client—ensuring optimal organization. And clients can be transferred electronically from one clinician to another in the event that caseloads need to be adjusted or a clinician leaves the group. i-Admins and report uses are purchased and listed separately within PARiConnect—so you have ultimate control over your inventories. Plus, if you supervise other clinicians, PARiConnect allows you to allocate i-Admins and report uses to your employees and to reallocate inventory between accounts when necessary. Get in-office assessment results faster than ever—PARiConnect is a client-centric system, so it’s as simple as setting up a client file and assigning the appropriate assessment to your client. After administration, you’ll be able to review and verify his or her responses and view the report. Print reports, or download them to your desktop for easy editing. Are you and your client separated by miles? With PARiConnect, distance is no problem. The system allows you to e-mail an invitation to complete an assessment to anyone with an e-mail address. PARiConnect can auto-generate personalized e-mail invitations without you having to send each one separately. Once the client receives the invitation, he or she simply clicks on the link in the e-mail and takes the test. You’ll be notified immediately after the administration is complete. Quickly verify responses and run, edit, and print reports. Need a flexible platform for entering test data? PARiConnect enables you to easily populate test forms with item responses and quickly get reports. Use your keyboard or mouse to enter item responses on a screen that replicates the look of the printed form; a unique magnifying box allows you to “zoom in” on each item row for easier viewing. Even better, there’s no need to purchase i-Admins for tests you don’t administer using PARiConnect—you pay just for the reports you generate. Regardless of administration mode, you always have the opportunity to review responses before generating a report—meaning you won’t waste a valuable report on an invalid response set. Marking a response set as invalid won’t delete the administration from your account—you can always come back and review further. Not sure whether you made a mistake keying entries? PARiConnect gives you two verification options. In the manual method, you re-enter item responses in a second column; the system marks any variances and allows you to correct the data. In the automatic method, the computer audibly reads back the client responses item by item so that you can verify their accuracy and correct any mistakes. We’re all about report options. Within PARiConnect, you can preview reports in an easy-to-read, scrollable interface or open a more functional version that can be printed or saved to your desktop for easy editing. Want to see those results with different norms? Although PARiConnect requires you to purchase uses for each type of report for each instrument assessed, you can generate a given report multiple times using different norms or demographics without it counting as an additional report use. It’s easy to add clients to your PARiConnect database. And for large groups of clients or clinicians, swiftly and simultaneously import details from a CSV file directly into PARiConnect. After a client is added, he or she will appear in the client roster, the hub of your PARiConnect navigation. Use this roster to search, add, or sort clients; move to each client’s individual screen; and view your clients by group. A home screen for each client displays client details like demographic information, a list of completed assessments, general notes you’ve made, and issues that may need your attention. In addition, you’ll see a list of available reports and any assessment notes you’ve made. PARiConnect allows you to create groups of clients and, for users who supervise other clinicians, groups of clinicians—who may each have his or her own set of client groups. For example, you can create groups based on your setting. Plus, in Account Settings you can change the labels used throughout PARiConnect to reflect the terminology that pertains to you—for instance, “student” instead of “client.” The Enterprise Manager feature also allows you to collect and compare data across groups under one account. You set the parameters, and PARiConnect will extract and consolidate data onto one spreadsheet for easier analysis. The Pending Assessments section, which resides on your home screen, lists notable events that have occurred within PARiConnect— for instance, if a specific client has not yet completed an assigned assessment or if an assessment expired before a client completed it. A similar section on each client’s home screen shows these events for only that client. And each item displays a menu of appropriate actions, enabling you to address each issue efficiently. i-Admins can be used for any instrument within a product family; for example, purchasing five BRIEF® i-Admins allows you to administer multiple BRIEF forms (e.g., teacher and parent). And you don’t need i-Admins to enter responses obtained through a paper-and-pencil assessment. For users who supervise other clinicians, i-Admins and report uses can be distributed among employees. Alternately, i-Admins and report uses can be kept in a common inventory accessible to each clinician. If uses assigned to one clinician are needed by another clinician, PARiConnect allows you to transfer them accordingly. Inventory can also be reallocated between groups if one account is running low and another has a surplus. Since PARiConnect is linked to the main PAR Web site, you can easily purchase additional i-Admins and report uses for your PARiConnect account. Want to see those results with different norms? Although PARiConnect requires you to purchase report uses for each type of report for each instrument assessed, you can generate a given report multiple times using different norms or demographics without using up an additional report—and regenerated reports are saved individually, not overwritten on the original. When you call to set up your PARiConnect account, you get a choice in how it’s structured. Are you a sole practitioner who juggles your own administrative work? The system makes it easy for you to import clients and assign assessments and to access and print reports. And if you’re lucky enough to have a research or office assistant, you can grant limited access to him or her for administrative tasks or data analysis. Are you a supervisor overseeing multiple clinicians? The system makes it easy for you to allocate assessment uses across your organization and to access all clients and clinicians in your group. Are you an organization in need of multiple accounts housed under one umbrella? We’ve got you covered. With the new Enterprise Manager feature, you can import information in large batches, move client and clinician data from one account to another, and export assessment protocol data from multiple groups of participants across any of your organization’s linked PARiConnect accounts. 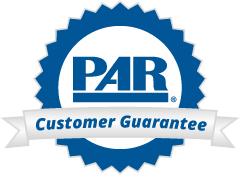 At PAR, we understand that laws and technology are always evolving—and, as a result, your practice has to evolve. The safekeeping of your clients' sensitive information is extremely important to us. In fact, it's been at the top of our list since PARiConnect began. Client data remain solely within your control; PAR never accesses, aggregates, mines, or analyzes client data. What kind of system should I have? PARiConnect requires a Windows®-based or Mac® desktop or laptop computer with an Internet connection and the latest version of one of the following Web browsers: Chrome™, Safari®, or Firefox®. PARiConnect also runs on Internet Explorer® versions 9, 10, and 11. In addition, PARiConnect will run on any version of the full size Apple® iPad® with the latest version of Safari. To invite large groups of clinicians or to add clients to your account, simply import a list into your PARiConnect account, and the system takes it from there. Clinicians are assigned default permissions (which can be changed on a clinician-by-clinician basis) and are sent auto-generated e-mail invitations. To share inventory among clinicians or accounts, simply select the assessments you want to transfer and move them with the click of a button. If a caseload needs to be adjusted, a clinician leaves one group for another, or client information needs to be removed or transferred, simply export client and clinician data from one account to another without any interruption in services or workflow. PARiConnect makes it simple to remotely gather and access data across accounts and to aggregate them for further study.